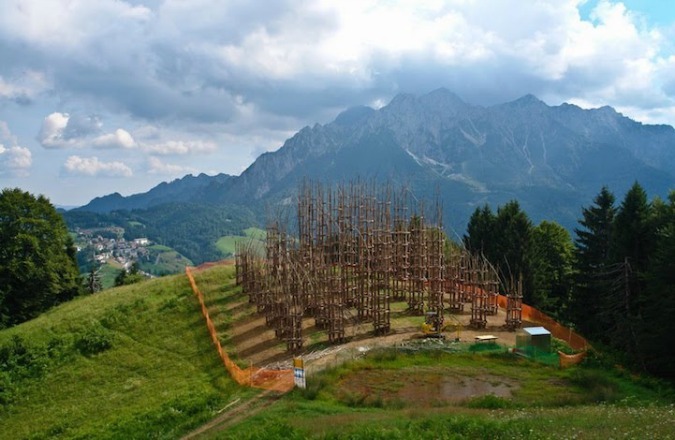 Located at the foot of Mount Arera on the outskirts of Bergamo in northern Italy, a spectacular outdoor cathedral formed from rows of trees has become a place of pilgrimage for tourists, art lovers, and spiritual visitors alike. 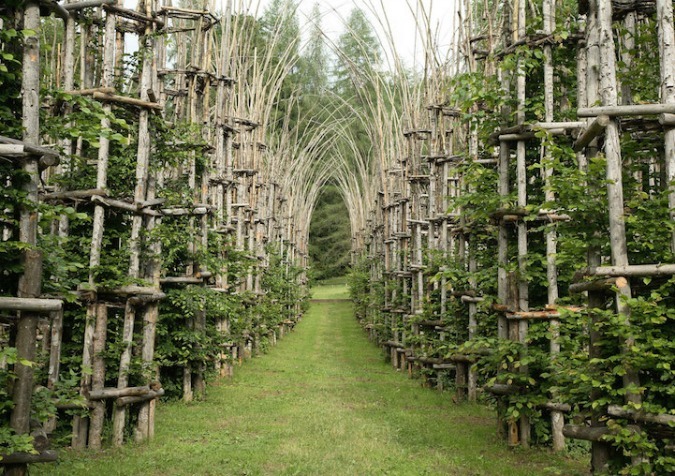 Called the Cattedrale Vegetale (also known as the Tree Cathedral), this magnificent work by Italian artist Giuliano Mauri is one of the most impressive examples of “natural architecture” in the world. This grand sculpture consists of 42 cage-like columns that form a basilica of five aisles. 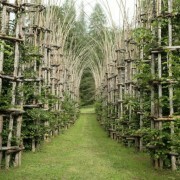 The columns, which are made of 1,800 fir poles, 600 chestnut branches, and 6,000 meters of hazel branches joined together with wood, nails, and string, house 80 hornbeam saplings that will eventually outgrow the decaying supporting columns to form a truly organic, living cathedral. (source).